They have to chauffeur their bosses around during office hours and the rest of the time including weekends they spent their time doing odd chores as per the demands and dictates of their bosses’ wives, often receiving berating for making a slight mistake. They are even made to do farm work in private orchards during off-hours. Such is the fate of three drivers of top ministers and parliamentarians who spoke to The Bhutanese on the ground that their identity would not be revealed. “We hardly get to relax on weekends though it is an officially declared holiday for all the civil servants,” said a driver from the National Assembly. One of the drivers complained that two of them have to come “for duty” alternately during weekends. According to the Royal Civil Service Commission (RCSC), the job description of a driver under the job code 09-460-33 is simply to drive or operate the vehicle in an efficient manner, keep the vehicle clean and tidy at all times, transport either passenger or goods safely to their destination, carry out minor repairs and maintenance of vehicle and other vehicle related works. There is a clause stating that they should also “carry out any other task assigned by the supervisors” but not the chore assigned by their wives or any other with private motives. “There are certain rules and regulations for civil servants; and everyone knows that this rule defines only official work,” said RCSC commissioner Bachu Phub Dorji. 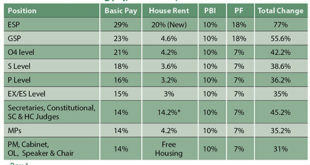 Each minister gets an allowance for cooks and housekeepers from the cabinet but 70% of them make their drivers do all their household chores but they are not paid for the extra work they do. “We don’t mind serving under their supervision since they are ministers of the nation and we can’t be rebellious; indeed we are helpless,” said one of the ministers’ driver. According to a senior RCSC official, doing work under official capacity is the responsibility of all the civil servants. It is not permissible to serve on unofficial works. “Senior officials should also follow the code of conduct; misuse of government resources is not acceptable,” he said. 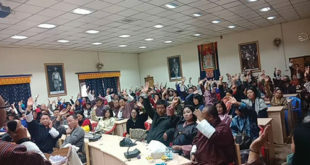 Labor Minister Lyonpo Dorji Wangdi said that “normally eight hours is the allocated working period for every employee,” and “beyond that the particular organization should commensurate compensation in the form of allowances.” “Some companies have different working hours but get certain allowances as per the pay,” he added. There are some ministers substituting their drivers as caddies while playing in golf in weekends, government holiday and even after office hours. A few weeks before, two drivers from the National Assembly were sent to prune apple trees at Khariphu under Thimphu dzongkhag; using government vehicles after office hours. Despite using government vehicle for private works; ministers allowed the drivers travelling allowance and day allowance of Nu 150 per day from the National Assembly office. Apart from that some of them were sent to work in ministers’ farms especially in Thimphu, Paro and Punakha. These despondent drivers told The Bhutanese that they get blisters working in their farm and orchards. “I get more frustrated when they order us to do two to three chores at a time,” said a driver. They said that too much involvement in household chores delays in registering them in office for attendance. Their colleagues noticed this and questioned them about it. They said they don’t have the courage to refuse to carry out their supervisors’ orders as they fear to lose their jobs or invite fury upon themselves. The Bhutanese talked to the Opposition Leader Tshering Tobgay’s driver, too who said he was never made to do works apart from official ones. Similarly, drivers from the labor ministry, works and human settlement ministry and education ministry said they were happy with their jobs. The Bhutanese has voice recordings of the said drivers’ complaints. All this ministers should be brought in lime light. They should be screwed, how can they effort to treat their drivers in such manner. Dig the story on their fuel consumption also. They are some of the biggest polluter on earth. And they always have a story to defend, this should be an intersting story but you guys should not reveal the name of drivers and protect their indentity. 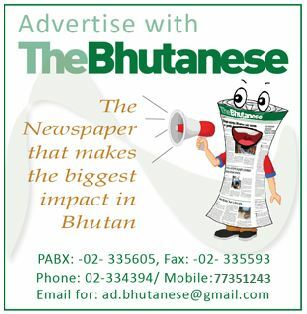 With power, people can do anything and it is what exactly happening in Bhutan…..Our country Bhutan, people still a stigma in their mind that governed by cultural of high and low. Particularly in above, though drivers have been made to work even odd hours in minister’s garden, as a caddies, etc behind their official hours but they failed to report keeping in their mind that they are the ministers of Bhutan. Now its high time for Bhutanese people to come up with pride and prestige to report the unhealthy behaviors in the media and report it………. ith power, people can do anything and it is what exactly happening in Bhutan…..Our country Bhutan, people still a stigma in their mind that governed by cultural of high and low. Particularly in above, though drivers have been made to work even odd hours in minister’s garden, as a caddies, etc behind their official hours but they failed to report keeping in their mind that they are the ministers of Bhutan. Now its high time for Bhutanese people to come up with pride and prestige to report the unhealthy behaviors in the media. With power, people can do anything and it is what exactly happening in Bhutan…..Our country Bhutan, people still a stigma in their mind that governed by cultural of high and low. 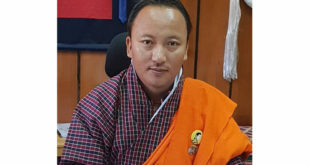 Particularly in above, though drivers have been made to work even odd hours in minister’s garden, as a caddies, etc behind their official hours but they failed to report keeping in their mind that they are the ministers of Bhutan. Now its high time for Bhutanese people to come up with pride and prestige to report the unhealthy behaviors in the media. If it is true then it is sad to know that misuse of authority by top officials of our country. Actually they should show example to other civil servants. Guess who those uneducated ministers would be??????? ?